Now that corporate bond fund managers have proven their continuing interest in and use of bond ETFs, State Street and Bloomberg LP are joining hands in an effort to re-define the notion of “straight-thru-processing” for institutional investors that are using fixed income ETF products…MarketsMuse sends a shout-out to BusinessWire for allowing us to re-distribute the below news release. BOSTON–(BUSINESS WIRE)–State Street Corporation (NYSE:STT) , and Bloomberg, the global business and financial information and news leader, announced today the launch of an enhancement for the fixed income exchange traded fund (ETF) market that helps clients process and settle ETF orders in a more efficient, scalable and automated manner. As institutional adoption of ETFs continues to increase, this new link between State Street and Bloomberg marks an evolution in how fixed income ETFs trade and settle in the primary market. The enhancement integrates Bloomberg’s Fixed Income ETF Basket service (BSKT<GO>) with TotalETF℠, State Street’s automated, global ETF servicing solution and Fund Connect®, State Street’s online order management system. 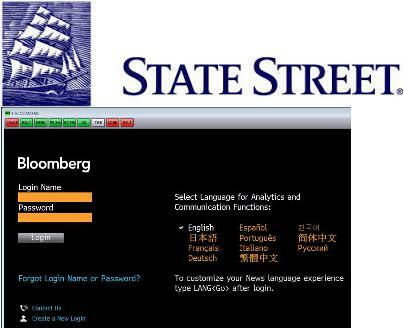 Bloomberg’s service allows authorized participants to submit orders directly from BSKT<GO> to State Street and generates in-kind settlement instructions based on transaction messages received from Bloomberg. It will also be available to all ETF sponsors currently serviced by State Street Global Services. All eyes are on the European Central Bank’s Jan. 22, 2015 meeting, as it’s no secret that ECB President Mario Draghi has been hinting at a large-scale quantitative easing program for some time. There’s no guarantee the ECB will actually implement any such program in January, but the consensus seems to be that there will be some type of big announcement on that front sometime in the first quarter of 2015. 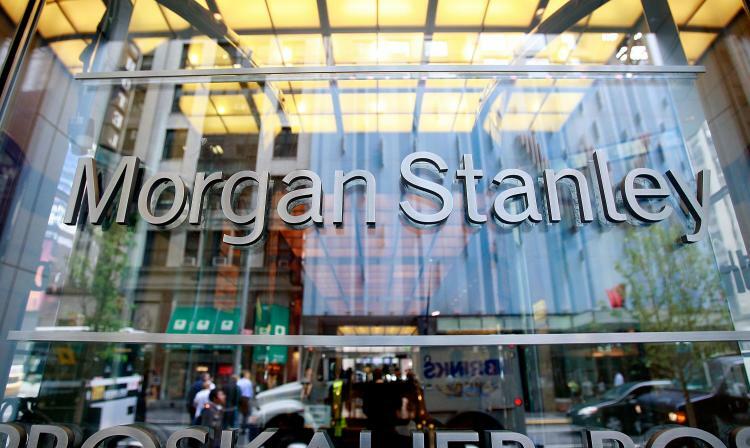 At the same time, the U.S. Federal Reserve is expected to begin raising rates in mid-2015. 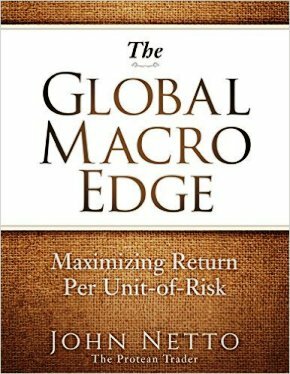 This opposing force between the world’s two largest central banks has strategists calling for a currency-hedged strategy to capitalize on a rising-equity/falling-euro scenario in Europe. An Equity ETF Designed For A Weakening Euro For currency-hedged options, the $5.6 billion WisdomTree Europe Hedged Equity Fund (HEDJ | B-47) is by far the leading ETF in the space. Despite its “Europe” name, HEDJ focuses exclusively on eurozone securities. That means that for better or worse, it excludes the U.K., Switzerland and Sweden, which account for roughly 50 percent of Europe’s equity market capitalization, combined. More importantly, it carries a significant exporter bias, attempting to capitalize on a weakening-euro scenario. The dividend-weighted ETF does this by screening out any company that gets more than 50 percent of its revenues from within Europe. This makes HEDJ geared toward investors with a strong bearish view on the euro. Naturally, the fund favors consumer sectors over financials compared with vanilla, cap-weighted European indexes (MSCI Europe IMI Index). This now-blockbuster fund tracks its index well and trades more than $80 million a day at 3 basis point spreads, keeping overall trading costs very low. ‘Neutral’ Currency-Hedged Products Contrary to popular thinking, investors interested in currency-hedged Europe ETFs don’t necessarily have to be bearish on the euro. They might have a neutral view, and simply prefer a purer equity exposure by taking any currency fluctuations out of the equation.The Deutsche X-trackers MSCI Europe Hedged Equity ETF (DBEU | B-66) is also a leading ETF in the space, and takes a broader approach, including all of developed Europe, beyond the eurozone. It tracks a cap-weighted index and neutralizes exposure to the euro, the British pound, the Swiss franc and a few other European currencies against the dollar. DBEU has more than $710 million in assets and trades with robust liquidity that’s sufficient for small and large investors alike. For a neutral currency take on the eurozone, rising in popularity is the iShares Currency Hedged MSCI EMU ETF (HEZU), which literally holds the $7.5 billion iShares MSCI EMU ETF (EZU | A-63) with a forward contract overlay to neutralize euro exposure. Index fund managers are finding it challenging to ensure the bonds they need in the prices they want, driving them to make trade-offs that leave supervisors vulnerable in a market downturn and may hurt investors. 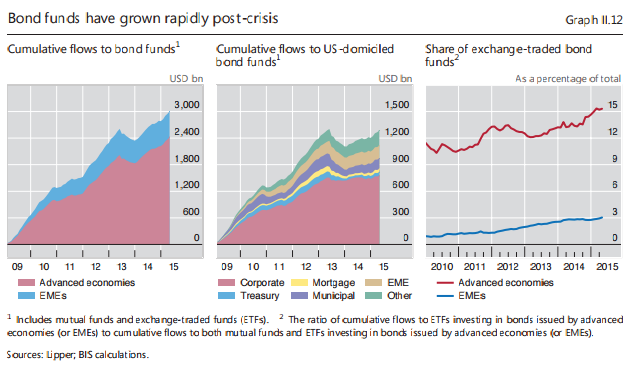 Bond liquidity has all but dried up for corporate problems after new regulations and capital requirements compelled Wall Street banks to slash their stocks of fixed income products following the fiscal disaster. That’s especially challenging for index fund supervisors who must get certain bonds to be able to monitor specific standards. While growth hasn’t been explosive, one family of defined-maturity ETFs, offered by Guggenheim Investments, a unit of Guggenheim Partners LLC, has grown to $1.6 billion since the first funds were launched about two years ago. 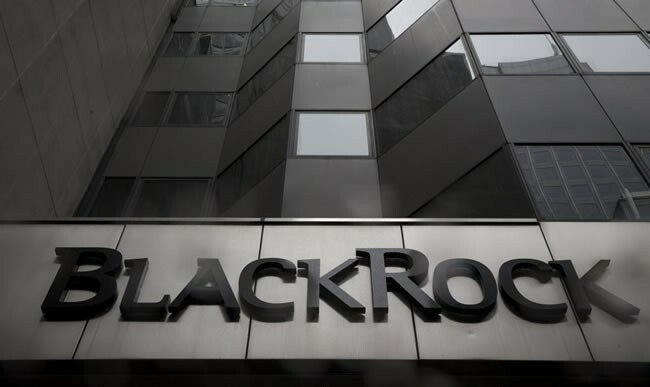 And a defined-maturity municipal-bond fund group at BlackRock Inc.’s iShares unit has attracted about $220 million. 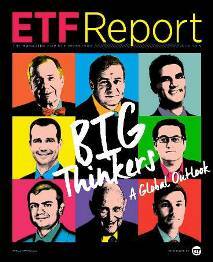 These ETFs seek to combine the diversification of a bond fund with the fixed term of an individual bond. 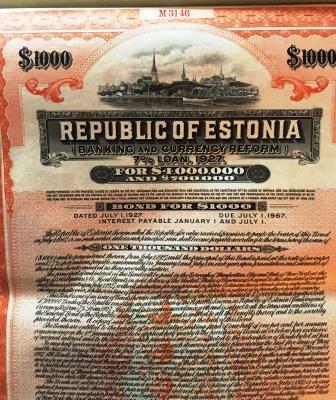 A fund with the year 2015 in its name, for instance, will hold bonds that mature in that year—and it will liquidate by the end of that year. But while the interest payment and face value of an individual bond are spelled out up front, the funds’ monthly distributions and payouts at maturity may fluctuate some. “It’s a little different structure” for investors to learn about, says Timothy Strauts, an ETF analyst at researcher Morningstar Inc. The ETFs were designed partly to be building blocks in a “laddered” bond portfolio, where investors buy bonds with staggered maturity dates and hold them to maturity. Traditionally, laddering was done with individual bonds, but getting sufficient diversification can require an investment of $500,000 or more. Investment advisers are the biggest buyers of the funds, but many wanted to see how the funds worked at maturity before buying, says William Belden, head of product development at Guggenheim. Guggenheim BulletShares 2011 Corporate Bond liquidated successfully at the end of last year, the first in the series to mature, and more advisers are now showing interest, Mr. Belden says. See the WSJ for the full article. Cash Management ETFs Will Boom..
Forbes columnist Ari Weinberg points out that bond ETFs should be seen as the “money market fund of tomorrow”, and he’s right. Exchange-traded funds (ETFs) are well-positioned to make significant inroads into the US$2.7 trillion money market fund (MMF) sector, which is fighting a fierce rearguard action to maintain the fiction that fund net asset values can be kept stable. In a vociferous lobbying campaign targeted at the US securities regulator, the Securities and Exchange Commission, a long list of US corporate and state treasurers say they can’t imagine a world in which MMFs might be allowed to “break the buck”—ie, have values that could fall below a dollar a share.